We are always concerned about the hygiene and cleanliness of our home. From cleaning the stove and the sink every time after cooking, to get rid of the leftovers, to change the bed linen and bath towels weekly, as recommended, we want our house always to be a clean one , but also organized. But, undoubtedly, the bathroom is the most prone to bacteria, and the toilet is perhaps the place in the house that needs to be cleaned and disinfected most often and most carefully. 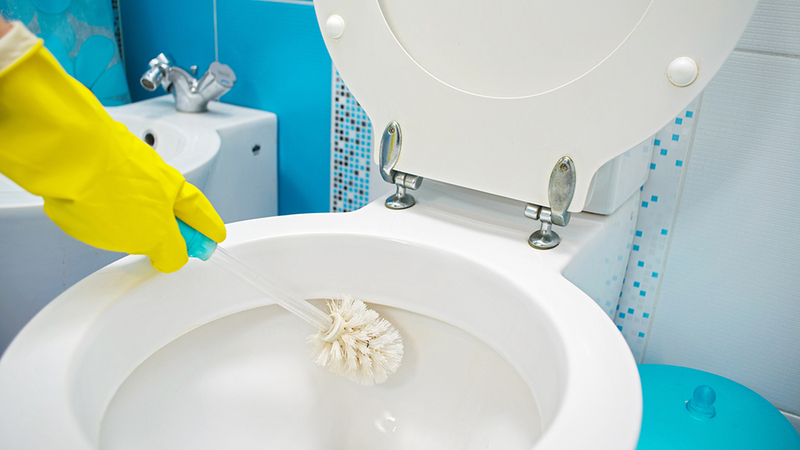 Today, we want to share with you a method by which you can clean and sanitize your toilet bowl with the help of another homemade solution. Once you have prepared this “natural bomb” as we have called them, all you have to do is put one in the toilet bowl when you want to clean it and use the brush to rub the entire surface. Forms (you can use a cookie tray that you no longer use, for example).